Locals, I have a request. But first, big thanks to Julie Nilson Chyna, who came by yesterday to help me stuff door hanger bags. She also agreed to take on precinct 25, which turned out to be about 75 doors of likely voters — she’s planning to have her daughters distribute them. This is standard operating procedure for a campaign, but it’s all new to me, and I find it fascinating. There’s this system called VAN (voter activation network), that you can buy access to, and then it gives you all kinds of info about who has voted in the past. 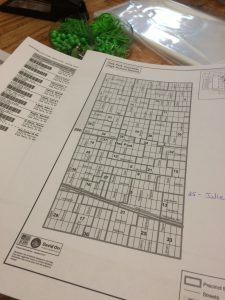 For us, we looked at people who voted in the last off-year election, since they’re the most likely to vote again in this one (usually only about 10% of people vote off-year), and then VAN spits out walk sheets for each precinct, listing the voters’ names and addresses. There are a lot of other ways you can fine-tune the results, via demographic info — you could ask for voters over 65, for example. A little spooky, what the government knows about us. Thanks as well to Karen Steward Nolan and Cassandra West, who took precincts 10 and 24. 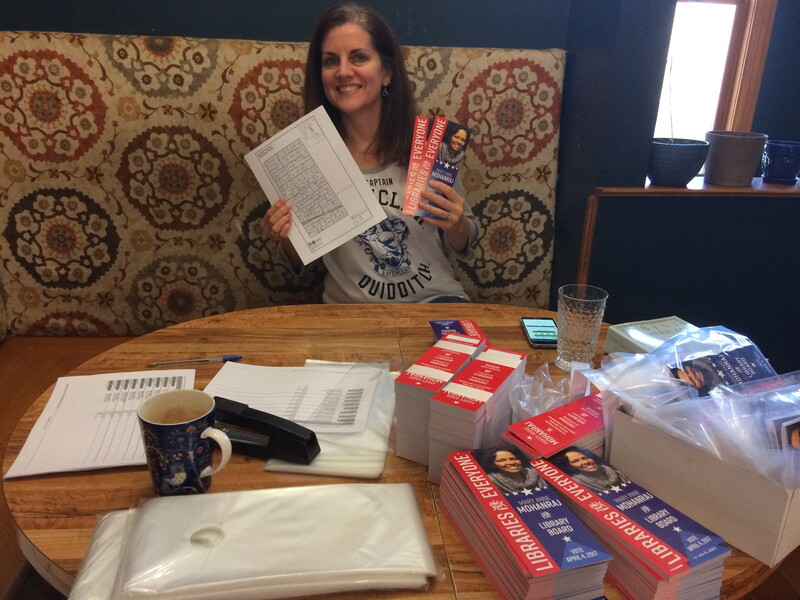 There are 36 total in Oak Park — if you’d like to volunteer to walk a district for me and distribute materials, please let me know! Usually it seems to be around 75-100 doors, and it needs to happen sometime between now and April 4th. Door-hanging will save a lot in postage costs, and I am trying to be fiscally responsible here with donor money!